On the 22nd of July we were invited the national televised final of The Great Debaters Contest, held at the GEMS Cambridge International School in Nairobi. 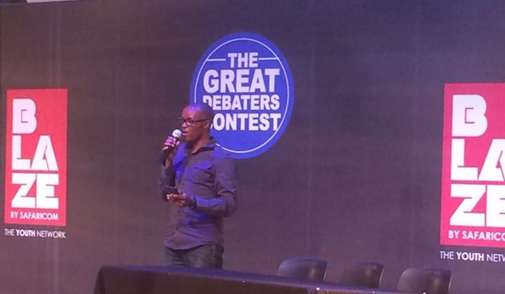 The Great Debaters Contest is a debate show that drives conversations about factors affecting young people in Kenya. It provides a forum for them to intellectually tackle matters of national, continental and global importance, with the hope that they can contribute to the making of policies that shape society and change the world views of young viewers and listeners. The Great Debaters Contest partners with iMlango to run the iMlango Junior Debaters Contest, which is scheduled to return to iMlango schools for the second round of Competition 2, in the third term this year. Each of The Great Debaters Contest rounds are produced into weekly television shows that air on Kenya’s national broadcaster, KBC. 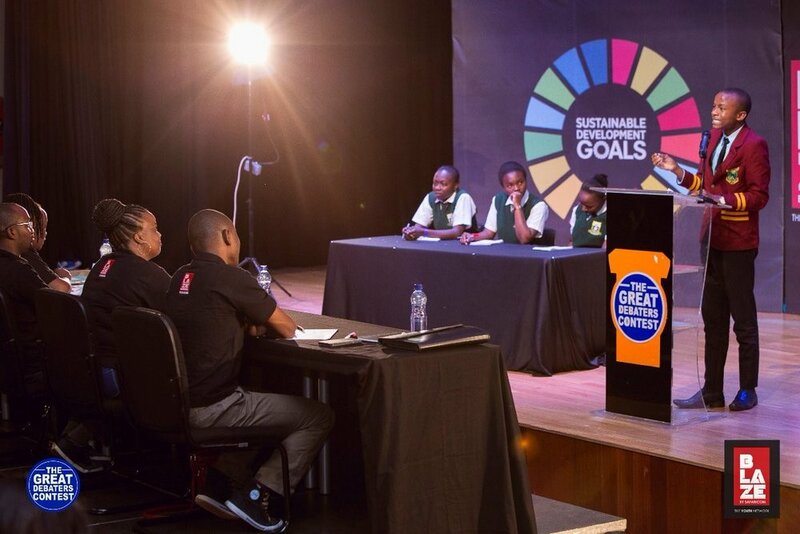 The final attracted students from 13 secondary schools from across the country, and the motions debated at the final revolved around important matters affecting Kenyan society such as: corruption, terrorism, immigration, insecurity, and climate change. Members of the iMlango field team attended the finals; it was a great opportunity to interact with teachers and students to discuss Sustainable Development Goal number four, Quality Education, and our role in implementing the goal through the programme. Thank you Arimus Media for inviting us to the finals! The field team are currently going through the process of identifying a number of secondary schools across the four counties to be part of the second phase of the programme. This process includes conducting surveys to assess schools' requirements, such as whether they require internet connectivity and the availability of computers to access the iMlango learning platform. At Arnesens primary school in Uasin Gishu county, the ICT teacher Mr Peter Ng’ang’a was one of the teachers who underwent teacher training in April 2015 at the Centre for Mathematics, Science and Technology Education in Africa,. The training's goal was to equip teachers with necessary ICT skills, build their capacity and therefore improve learning outcomes for the pupils. This training made Mr Ng'ang'a emerge as one of the best teachers at training pupils and other teachers, and has since seen him be recognised for his efforts by the curriculum support officer. Mr Ng'ang'a was chosen to train public schools under the government's Digital Learning Programme, and has now trained the Tulwet zone, consisting of 27 schools. Mr Ng'ang'a said: “iMlango has built my ICT skills as an individual, as I spend my time here in the lab learning. The iMlango staff have also enabled my knowledge to grow as they don’t disregard my questions; rather, they answer and help where they can. I am grateful to iMlango as I have harvested my knowledge from them."